For years guitarist have done this by using their pickup selector on their Les Paul or even installing momentary Kill Switch buttons into their guitars, but now all you need to do is slap this guy on your board. No power needed as it is a totally passive device. Just tap away, and as your foot touches the switch, your signal is muted. 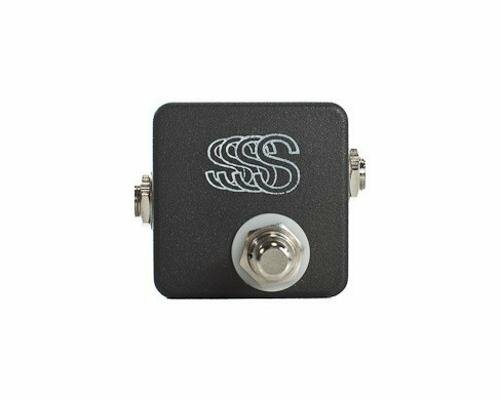 Think of this as your own manual tremolo!This pedal does not require power and measures 2 x2 x1 Hand-built by real people in Kansas City, Missouri.Order your JHS Pedals Stutter Switch Pedal from Sam Ash Direct today with the security of our 45/60 day return/price protection policy, and be sure to take advantage of our fast, free shipping.